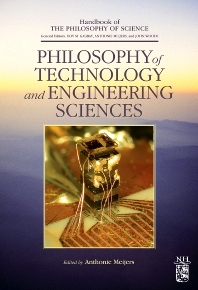 The Handbook Philosophy of Technology and Engineering Sciences addresses numerous issues in the emerging field of the philosophy of those sciences that are involved in the technological process of designing, developing and making of new technical artifacts and systems. These issues include the nature of design, of technological knowledge, and of technical artifacts, as well as the toolbox of engineers. Most of these have thus far not been analyzed in general philosophy of science, which has traditionally but inadequately regarded technology as mere applied science and focused on physics, biology, mathematics and the social sciences.